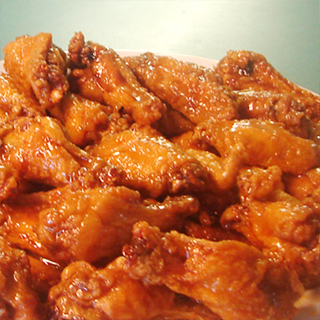 Customers rave our about famous honey wings. 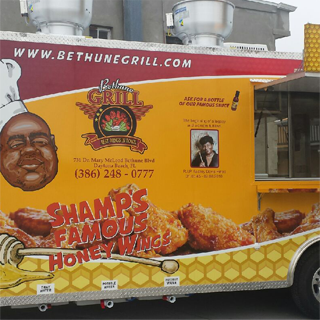 The Bethune Grill has been serving the Greater Daytona Beach Area since 1997. When people think of Daytona, they think of three things: the Beach, the Races, and our Chicken Wings. Shamps secret recipe keeps em coming back! 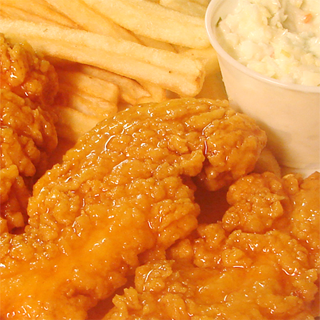 Customers rave our about famous honey wing sauce. 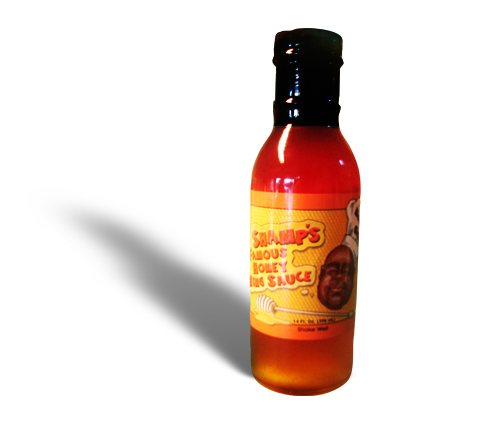 We listened, and Shamp's Famous Honey Wing Sauce is now available by the bottle. Visiting Daytona Beach, be sure to take a bottle or two with you back home. Our Sauce is in pantries around the country. 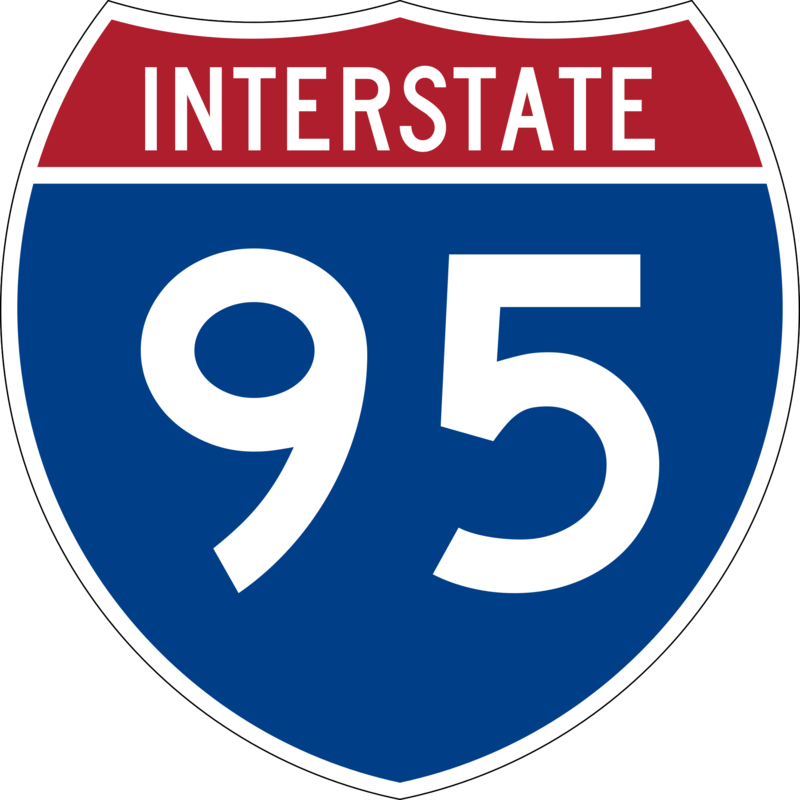 Or give us a call and we'll ship it direct to your doorstep. Shamp's secret recipe that keeps 'em coming back! Crispy all-white strips. Includes Fries. We butterfly and cooks this up golden brown. Tender, meaty, fried to perfection. From sweet red velvet to upside down cake. We switch it up from time to time. Strawberry Cheesecake, Turtle Cheesecake, and Pineapple Cheesecake. Conveniently located one half mile WEST of the historic Bethune-Cookman University campus in Daytona Beach, "The World's Most Famous Beach", Bethune Grill is close to all of our great colleges in Daytona Beach. Right down the street ! I want some Bethune Grill. Bethune Grill would be so clutch right now. I still have to try Bethune Grill😭 y'all hype it up like its the best in the world. Get alerts, updates, and sweet offer from Bethune Grill. 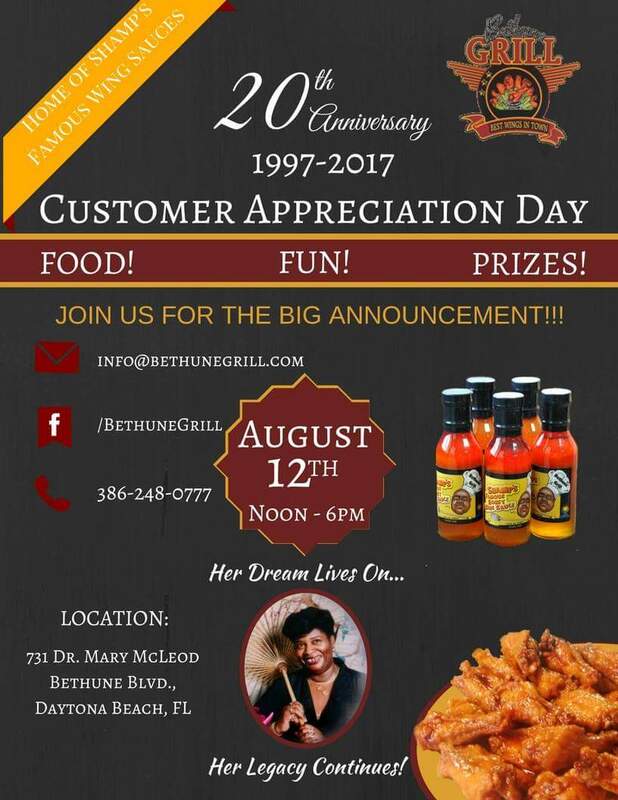 The Bethune Grill has been serving the Greater Daytona Beach Area since 1997. Customers rave our about famous honey wing sauce. Copyright ©2009-2016 Bethune Grill, Inc. All Rights Reserved.